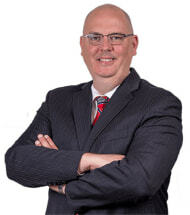 I have been licensed to practice law in the State of Texas since 2000. I have handled complex business litigation involving breaches of fiduciary duty, contract disputes, partnership/shareholder disputes, and collection actions. Our firm also handles probate litigation and estate issues. My practice focuses on representing physicians with respect to contractual disputes, compliance issues, and practice formation/separation. We have successfully tried cases to juries and conducted bench trials in State and Federal Court. Our firm has additional experience with aviation law, including, at the time, prosecuting one of the first Pilot's Bill of Rights Appeals from the NTSB to a U.S. Federal Court as one of only a handful of such Appeals nationwide. We have argued appeals successfully before the United States Fifth Circuit Court of Appeals, United States District Courts, United States Bankruptcy Courts, NTSB, and Centers for Medicare & Medicaid Services. Our mission is to provide our clients with the knowledge and know-how to stay out of Court, but if needed, then to zealously represent our clients' interests in the Court system efficiently and to obtain a favorable and sensible outcome.